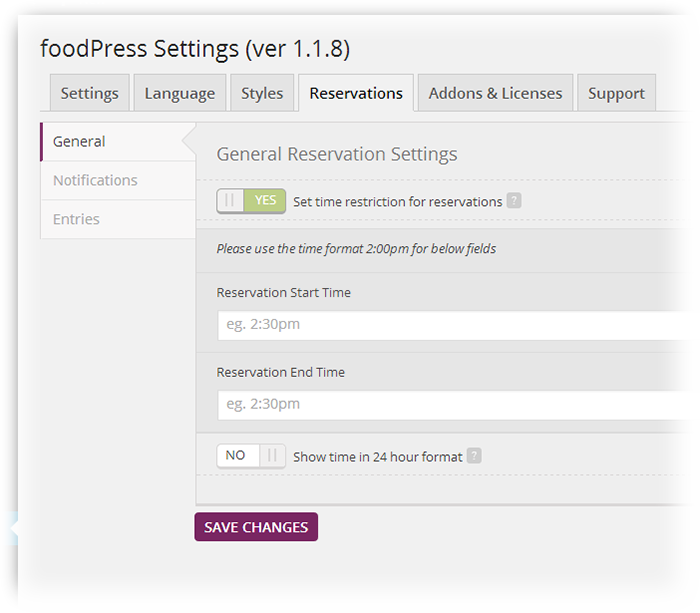 It’s been a while since we’ve written anything about our latest updates and features, but as you can see we’re now at version 1.1.8 of the Foodpress Restaurant Menu & Reservation Plugin for WordPress. In addition to our wonderful Online Ordering Addon, and the Single Menu Item Addon, We’ve taken a lot of time and make drastic improvements to the Foodpress plugin. From the two custom Font Icons that are available, to the brand new Online Reservation System, we’re planning on expanding the plugin even more in the near future. If you haven’t experienced the Foodpress Plugin, you can check it out at CodeCanyon or live at our Demo Site here. You will see the brand new Reservation System which allows your guests to select their preferred reservation date and time, with also allowing you to limit reservation hours. 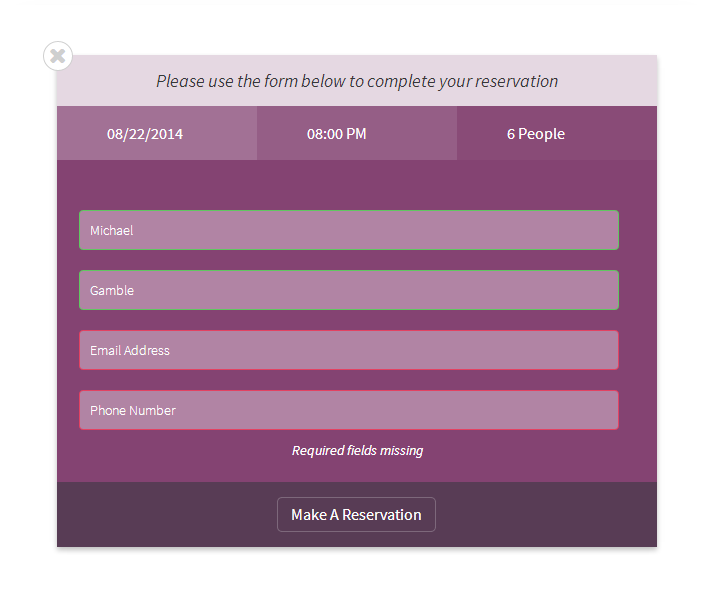 The plugin also gives you the ability to send the Admin or any custom email a Notification of the reservation, and also send the person who is making the reservation a custom message about their reservation date and time and details. You can see a cool snapshot of it below OR try out the system yourself at http://public.myfoodpress.com and register for an account to try the full version yourself. 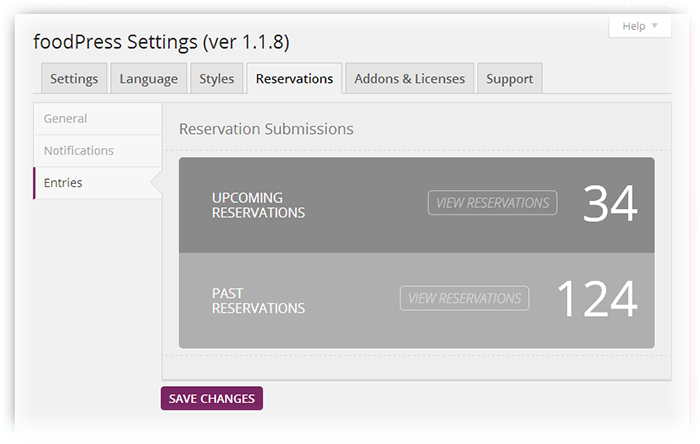 You can also check out the backend of the Reservation System with all of the settings and tools below too! And one more thing to note, you can even keep track of Past and Future Reservations that are pending. Of course you have the ability to delete or remove the past reservations too!